Neo Plants (1991). Medium [15" tall x 20" wide]. Lavender flowers mid season. 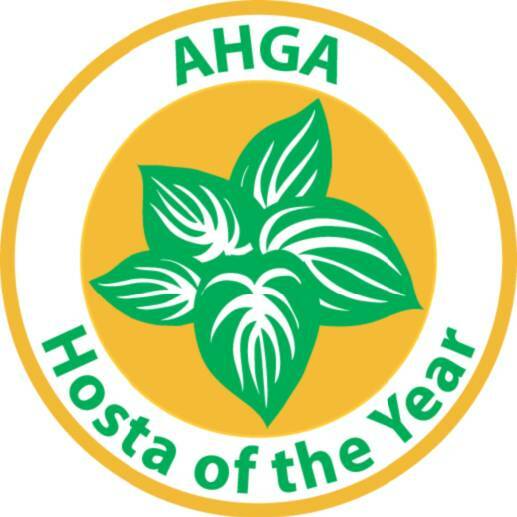 Hosta of the year 2001. 'June' is the absolute favorite hosta of most AHS members. A sport of 'Halycon' it features thick leaves with good slug resistance and beautiful variegation. One of the last hostas to go dormant. A cornerstone of any good hosta collection. PLANT SIZE: 1 Quart Pot. SHIPPING SEASON: March 1 - November 30. (36.2 fl oz.). Plants are of blooming age. Hostas have been over-wintered 2-3 times & have 2 eyes, often more. ~ Plants shipped in March & November may be dormant and without foliage. ~ Plants purchased in winter [December 1-February 28] will be shipped in spring at an appropriate time for your area. Upon request we can ship dormant 1 Quart hostas in winter. 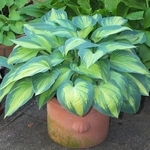 You only have to read the [1 Quart hosta] details once - its the same for all 1 Quart potted hostas.